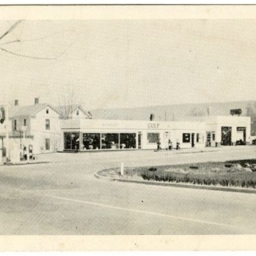 Postcard showing the New Market Service Station located at the intersection of US 11 and US 211 and operated by H.E. 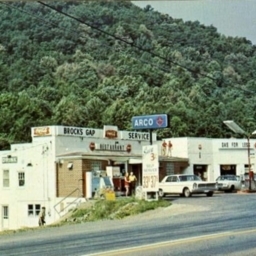 and R.K. Estep. 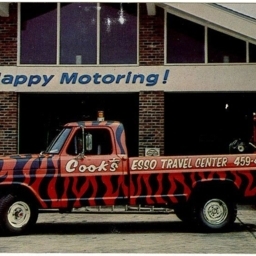 Color postcard showing a picture of Cooks Esso Travel Center and their service truck.